Albert Einstein carried on a romantic relationship with Margarita Konenkova (on the left photo and with him on the right one), who was identified as a Soviet agent. Married to a famous sculptor, Margarita Konenkova (1895 – 1980) enchanted many men in Russia and abroad, including Albert Einstein. Konenkova was the last love of the great scientist but remained loyal to another affair – with the Soviet special services – and used her close ties with Einstein to help Moscow. 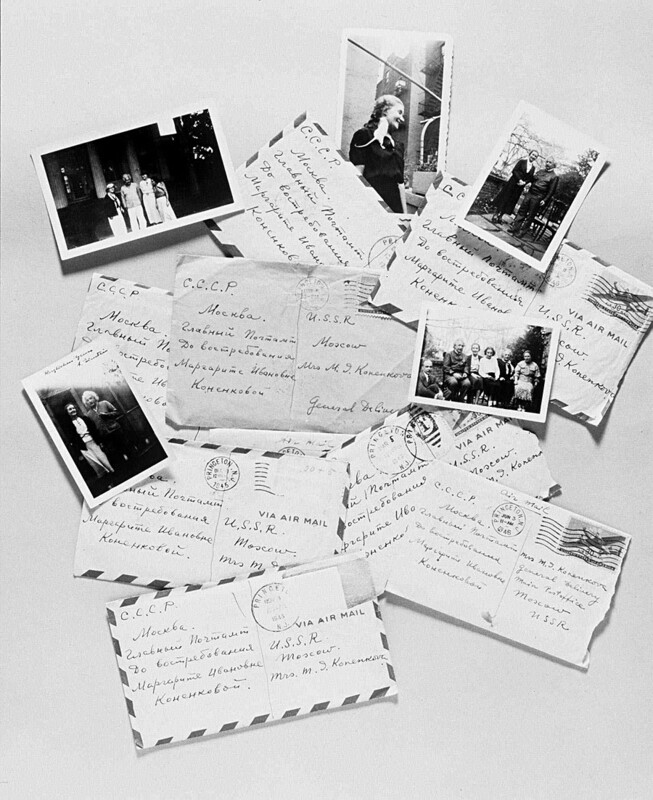 However, there is more than just longing in Einstein’s letters to Konenkova, which were found in the late 1990s before one of her relatives sold them via Sotheby’s. In one letter dated Nov. 11, 1945 he mentions meeting with the consul “according to the program” – and this consul worked as a top Soviet intelligence agent in the U.S. So who was Konenkova, who arranged a meeting between the influential German-born scientist and a Soviet spy just months after America created the first nuclear weapon? Born in a remote Russian town, Margarita later moved to Moscow and immediately made waves with her seductive ways. “She was so beautiful she seemed a creation of some great artist to me,” Konenkov later recalled. 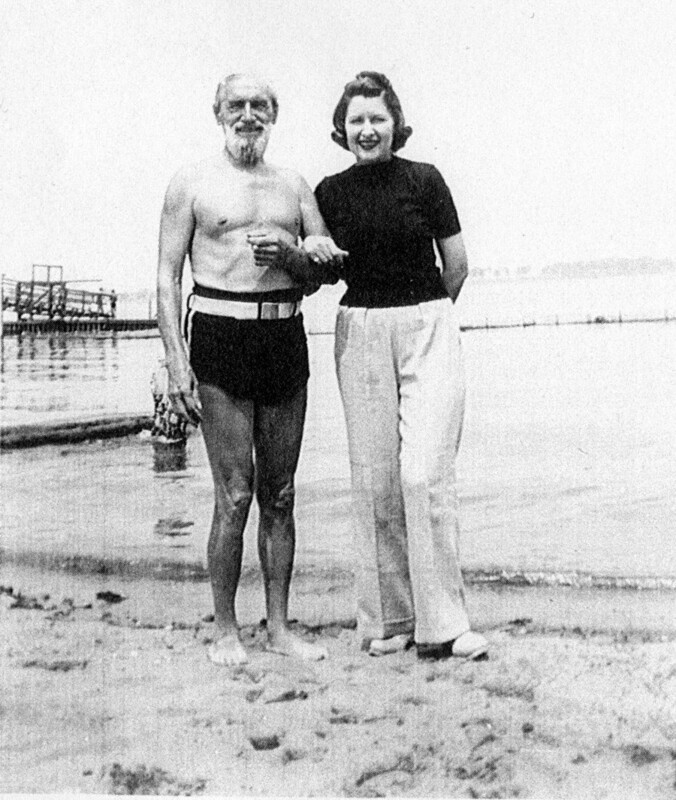 Sculptor Sergey Konenkov and Margarita Konenkova on holiday. In 1923, the married couple moved to the U.S. Margarita became a real star among Russian immigrants, attending numerous balls and social events, while Konenkov continued creating art. In 1935 the Princeton University asked Konenkov to sculpt a small statue of Einstein – and that’s when his wife got acquainted with the scientist. “Einstein was a surprisingly modest man, joking that he was famous only for his wealth of hair,” Konenkova wrote in her memoirs, at the same time mentioning that the physicist loved to discuss his relativity theory. Though Margarita wasn’t successful in fully understanding the concept, she surely understood its author. 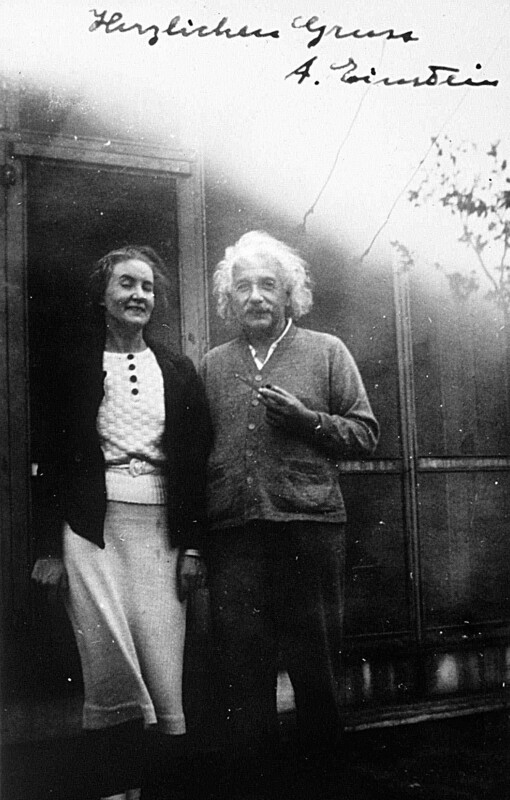 Albert Einstein and Margarita Konenkova are shown together in an undated photo. When Einstein’s second wife Elsa died in 1936, his relationship with Konenkova became more than friendly. In 1939 he asked a doctor to advise her to spend time “in the healthy climate of Saranac Lake, New York” (where Einstein happened to live). Each year she spent several months living with Einstein next to Saranac while her husband Sergei worked in Chicago. The scientist even came up with a name for the loved-up couple: “Almar” (Albert-Margarita). 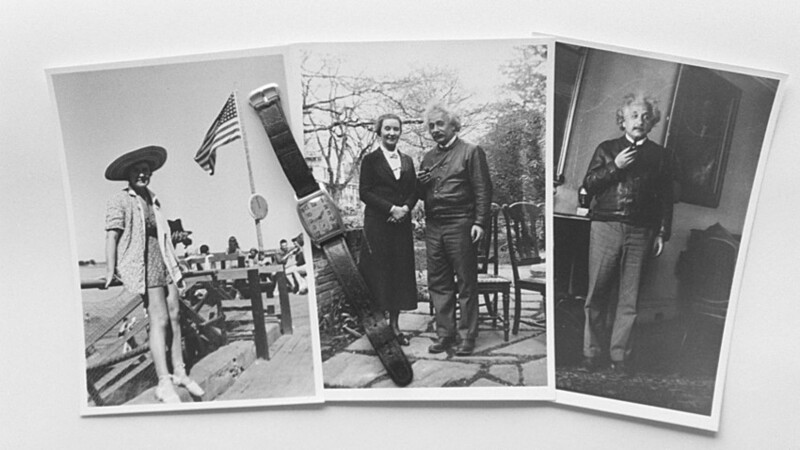 As outlined in Einstein’s letters, he cherished the moments spent with Margarita and was willing to do anything for her. Oleg Odnokolenko, a journalist from Nezavisimaya Gazeta who investigated the story of Einstein and Konenkova, said in an interview that it’s still hard to determine whether she had real feelings for the scientist or if it was just a mission – but it’s clear that the socialite worked for the intelligence service. According to Pavel Sudoplatov, an intelligence general from Joseph Stalin’s era, Konenkova was indispensable in terms of spying on America’s nuclear program, the Manhattan Project. “In Princeton, she got close with influential physicists Einstein and [Robert] Oppenheimer… she talked Oppenheimer into hiring people known for their leftist views. Our agents were ready to work with them,” Sudoplatov wrote in his book Special Tasks. Unlike Oppenheimer, Einstein wasn’t directly involved in the Manhattan Project but researchers suppose that a scientist of authority could learn a lot about the U.S. nuclear program through his ex-students and colleagues working on it. Naturally, the USSR wanted this information. The whole story is still full of grey spots, Oleg Odnokolenko mentioned. But several things are known for sure: Right after the end of WWII, as the Cold War was gaining momentum, Konenkova and her husband Sergei were forced to leave the U.S. and return to the USSR. 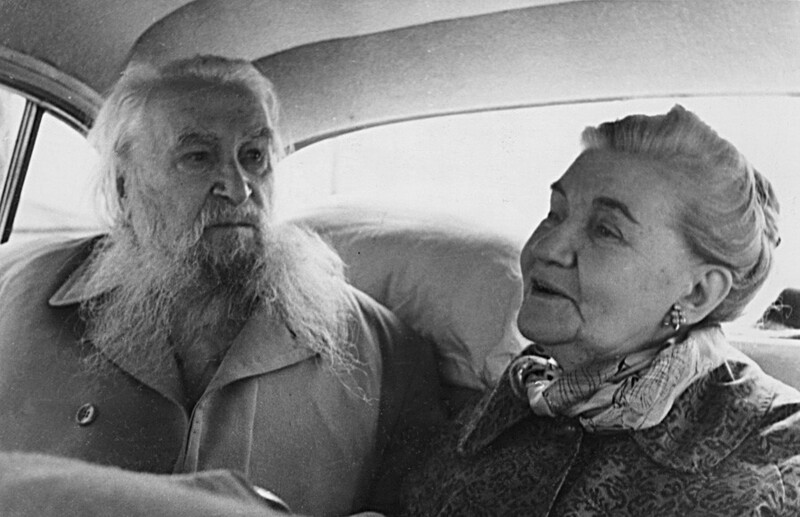 Sergey Konenkov and Margarita Konenkova in the USSR. At the same time, Konenkova pulled some strings to make Einstein meet Pavel Mikhailov, the USSR consul who worked for the GRU (Soviet army intelligence). As Odnokolenko emphasized, Einstein did it for Margarita, knowing that her future in the USSR depended on this meeting – and met with Mikhailov more than once. Though what they discussed and whether the scientist gave away some important information remains unclear, he wrote to his Russian friend that he did everything he could. After the Konenkovs came back to Moscow in 1946 they were provided for by the government – so perhaps Stalin considered Margarita’s work successful. Still, both Russian and American intelligence keep their archives on the issue classified, so for now it’s impossible to find out what exactly happened between Einstein and Soviet agents more than 70 years ago. What’s clear is that the greatest minds of humanity are not immune to weaknesses brought on by aching hearts. If you are interested in the amorous lives of famous people from bygone days, check out our text on the love triangle between Vladimir Lenin, his loyal wife, and a beautiful revolutionary Inessa Armand.